I’ve had a nice relaxing day today, involving a couple of weekend hobbies that I managed to combine with a bit of flat shoe loving too. First, a bit of fashion illustration. 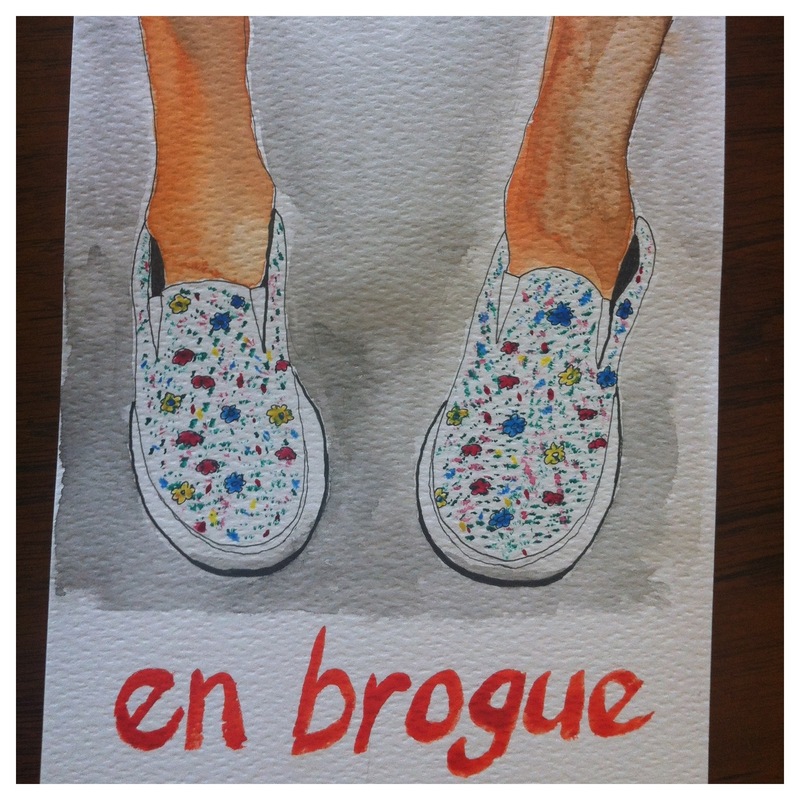 My watercolour skills are a bit rusty, what with my A-level in art all but a distant memory these days, but I had fun painting some of my favourite shoes of the summer, these YMC Liberty print sneakers. Next, some vintage shopping in a new barn that’s opened down the road from me. I picked up these old iron shoe lasts for just £5. The biggest is about a UK size 3, the smaller two must be for children. 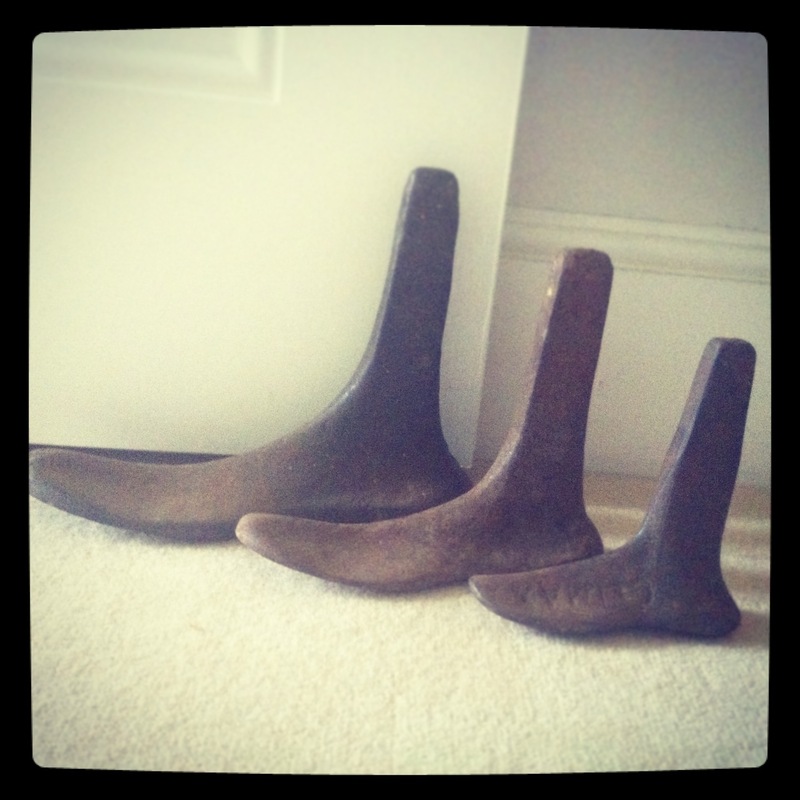 They make perfect door stops, though I’m waiting for the moment Mr Brogue stubs his toe on one and curses me for having bought them! Sally from OhMyLove mentioned your blog at Company Magazine’s Blogging Forum last night! Love your posts, such an original idea, will definitely be looking out for more from you. Hmm. Can’t remember but it’s on the Isle of Wight. Will find out.